A native of Europe introduced into disturbed areas, roadsides, fields, and gardens. A weak, yellowish green plant, smaller than but otherwise similar to S. media. First collected in Michigan in Ingham Co. in 1985 by R. K. Rabeler (1988), but doubtless overlooked. Rabeler notes that frequently S. pallida will have a red band at the base of the calyx that, if present, allows easy field recognition. Flowers of Stellaria pallida usually have 1–3 stamens while those of S. media have 3–5 (–8). MICHIGAN FLORA ONLINE. A. A. Reznicek, E. G. Voss, & B. S. Walters. February 2011. University of Michigan. Web. 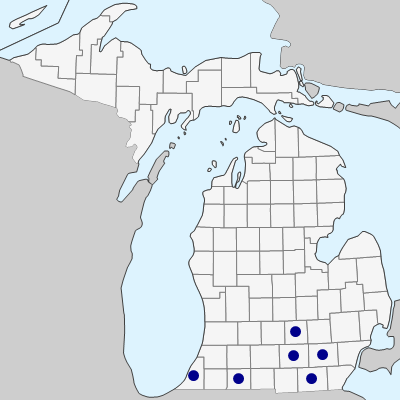 April 22, 2019. https://michiganflora.net/species.aspx?id=799.